What are the top reasons for choosing Unilife Park House? You can walk to Solent University in less than 10-minutes. Tenants can make use of a private, fully equipped gym. Every apartment comes with a double bed and TV, including Netflix. Students can benefit from a grab and go breakfast. 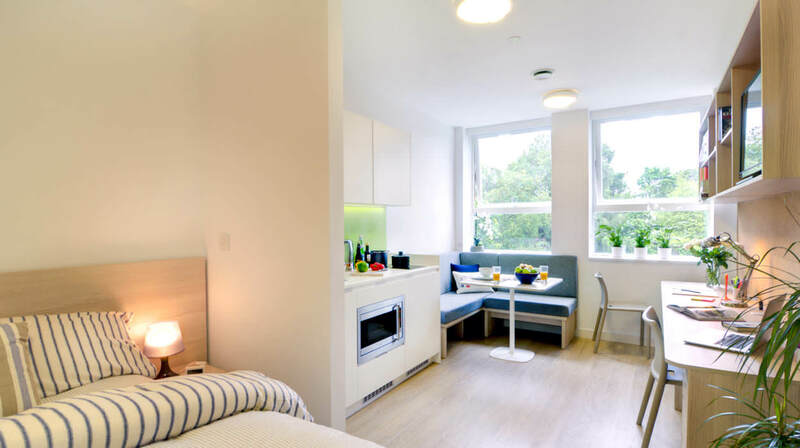 There are 6 types of studio apartments to suit your requirements.